Sandals Resorts was looking for a unique way to turn up the volume for their traditional radio remotes. CMT and record label partners wanted a unique way to showcase their country music artists who are competing for media attention in a crowded industry. 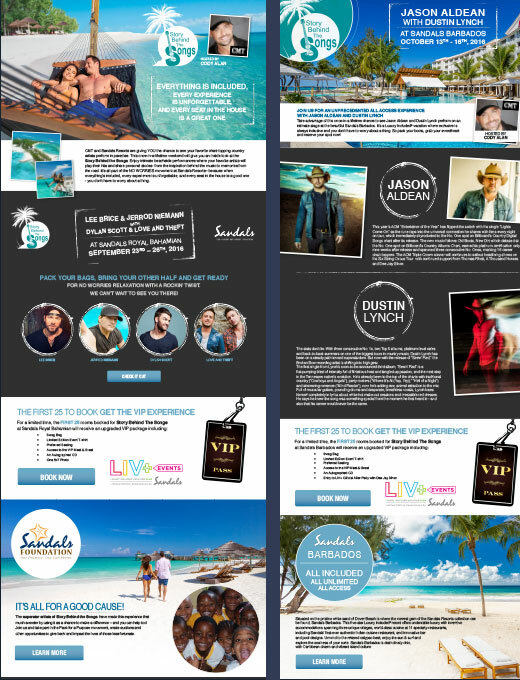 Through Alliance Connection's entertainment portfolio we were able to pair the nation's leading record labels and country music artists with Sandals & Beaches Resorts to create a unique media event: Story Behind The Songs. The Story Behind The Songs series included 15 radio stations for a live broadcast and several media partners attend for incremental coverage. Hosted by CMT's Cody Alan, the series also gave Sandals and the recording artists the unique opportunity to create behind the scenes content that would later broadcast on CMT's Hot 20 Countdown to over 9 million viewers. 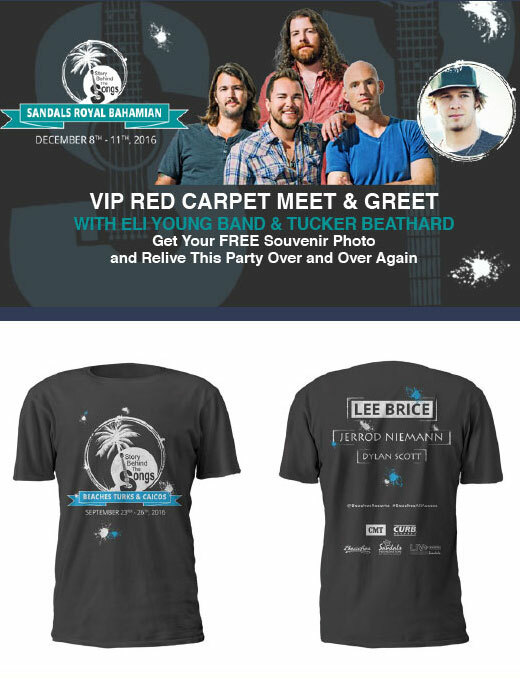 Sandals Resorts had the once-in- a- lifetime experience to offer their LIV+ guests exclusive VIP packages that included an up-close- and-personal acoustic performance, artist meet and greets, event swag, and limited edition t-shirts. Everyone wins with Story Behind The Songs - so much so the series is continuing in 2017. 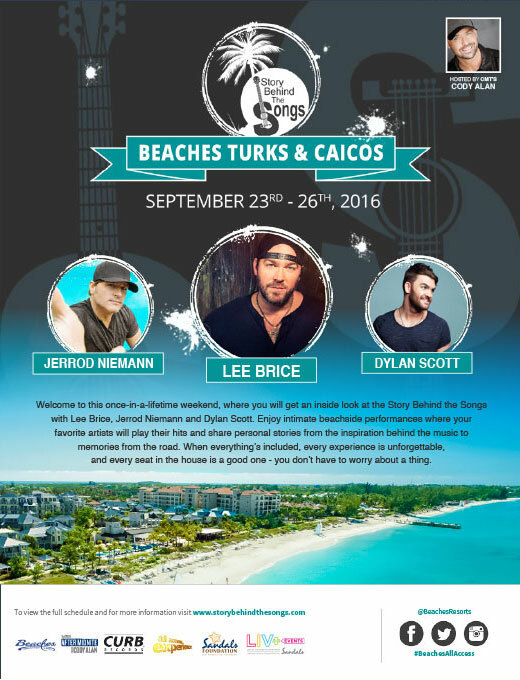 CMT, Sandals Resorts and Beaches Resorts provide guests the chance to see their favorite chart-topping country artists perform in paradise. This once-in- a-lifetime weekend gives an inside look at the Story Behind the Songs, with intimate beachside performances where artists play their hits and share personal stories - from the inspiration behind the music to memories from the road.